When will I get my order? : Proof in 3 business days. Cards produced 10 business days after proof approval. Ship timing from MO is additional. 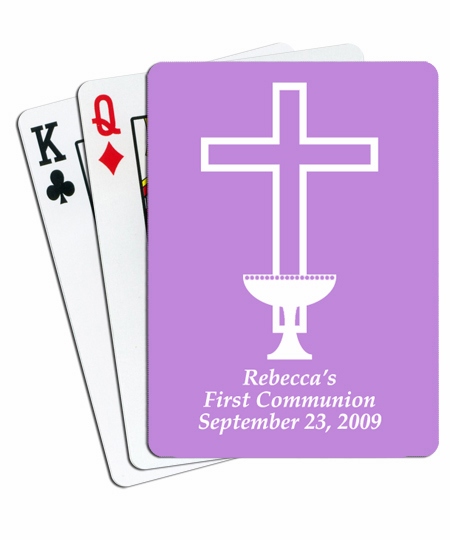 These first communion personalized playing cards make a lovely and meaningful keepsake for your friends and family that shared this special day with you. Each deck arrives attractively packaged in a white, window box. 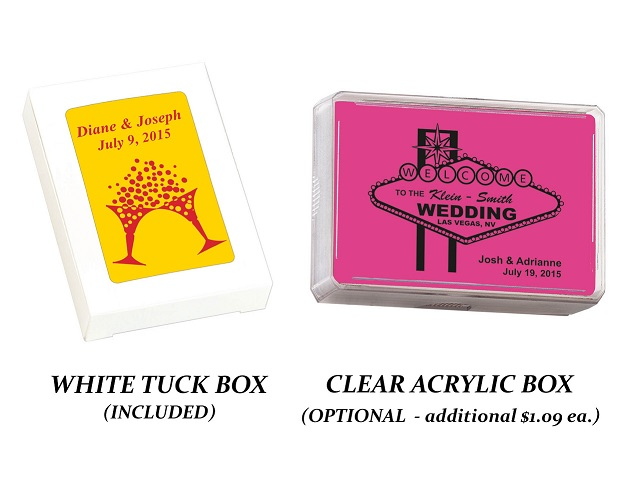 You are also welcome to have your decks placed in a clear hard plastic box for an additional $1.09 each. 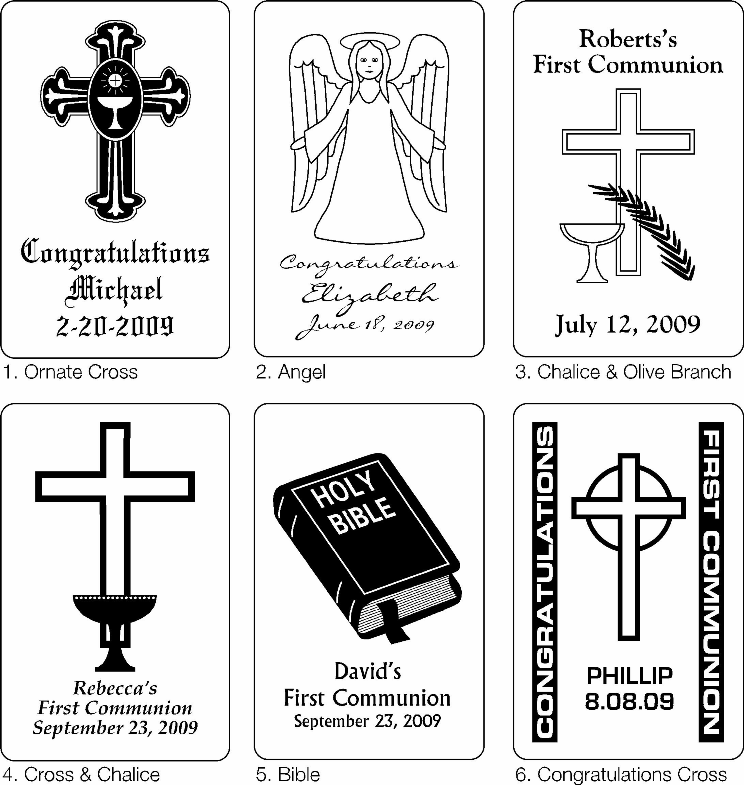 Designs shown on the links below are included in the price. If you would like our graphic design artist to create your own unique design, we would be glad to do so at an added cost of only $25 which does includes ONE proof change. 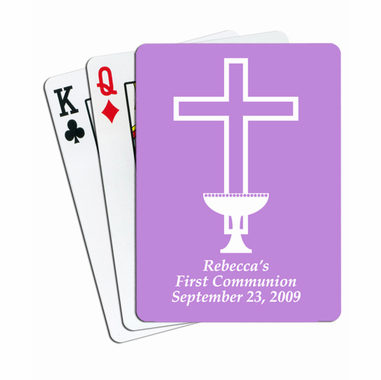 Although the card stock colors are very close approximations of the actual background color – there may be slight color variations with your order. 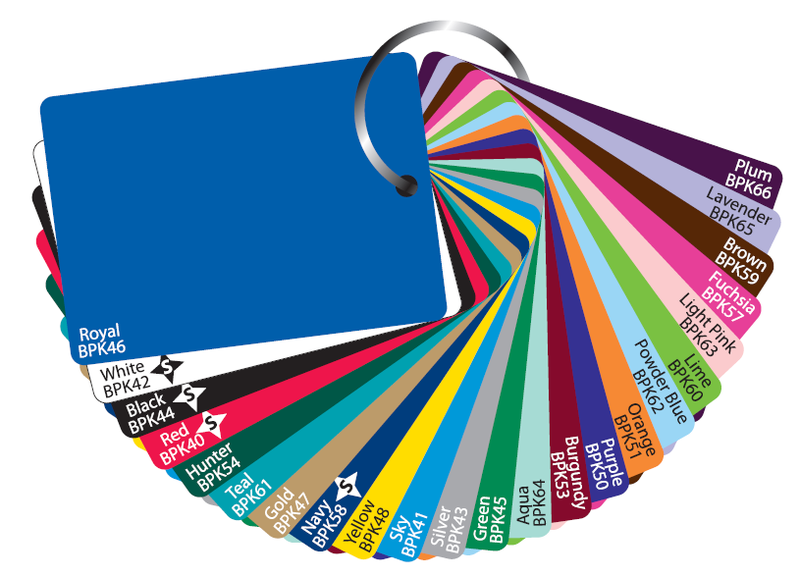 So please don’t hesitate to ask us for a sample(s) of the card colors you are interested in. There is NO cost for this service. Just send us your request at info@cool-party-favors.com . Please include your name, address, and color preference(s).